Intex has been known to provide innovative and latest technology to consumers at relatively low price. 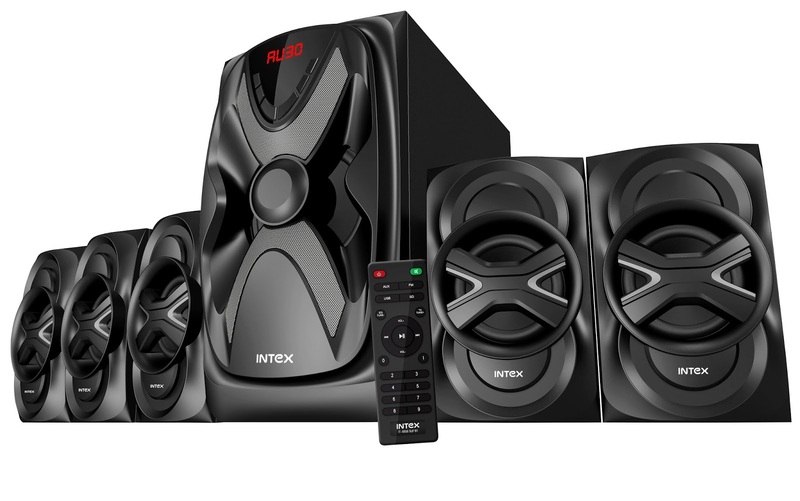 Intex has launched 5.1 channel speaker IT-6050SUF BT in India adding one more speaker to their 5.1 series.Now intex have 10 speakers in 5.1 series and total of 47 speakers in their portfolio. The new 5.1 speaker comes with built in FM tuner and AUX audio input compatible with DVD/PC/LCD TV.Speaker has bluetooth connectivity and supports USB port and SD card Slot. It is enclosed in a wooden body giving it a classy look .It has LED display enhancing user experience.It also comes with a remote control having all the function. This light weight Intex 5.1 channel speaker comes at unbelievable price of Rs 6,600 and is available at all the leading stores in India.